Intersecting random wave pattern, provides an attractive appearance and excellent privacy. Smooth exterior surface for easy cleaning. Matching designers shapes provide beauty and flexibility to create angles, curves or finished jambs and/or heads. 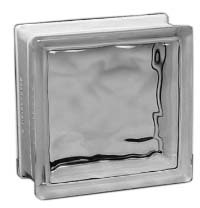 This see-through block provides a dramatic grid effect, undistorted vision and maximum light transmission. 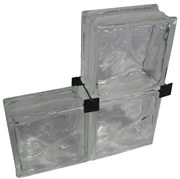 Vertical ribs on one face and horizontal on the other for excellent privacy. K-1 Mortar Mix is specifically formulated and blended for use in “grout bag” mortar applications, primarily in mortaring and tuckpointing of joints in thin brick and panel brick applications. Manufactured to the same specification as ladder type material except distance between longitudinal wire is 1-5/8″ or 2″ and cross wires are located 8″ apart. 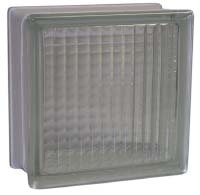 Continuous reinforcement insures structurally sound glass block masonry. 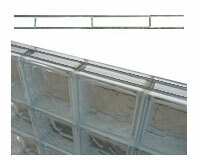 Wire Reinforcing is used for panels over 25 sq ft in area. Embed horizontally in the mortar joints between every other course. 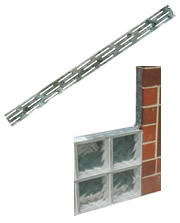 Panel anchors provide support to standard glass block panels. Spaced and installed according to specification. 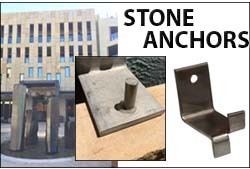 Panel Anchors are used to tie glass blocks panels into the surrounding framework. 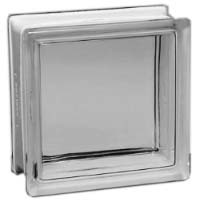 Spacers assure uniform placement and helps keep panel flush. Expanded, closed cell, plank, polyethylene foam. Economical, lightweight, flexible, compressible, resilient, non-absorbent, inherent bond breaker. Colors, Textures and Custom Sizes Available – Call us today!